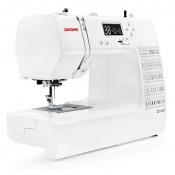 Sewing speed of about 1500 stitches per minute and 4 feed dog settings guarantee smooth performance and maximum fabric control yet with whisper-quiet operation. Thread cutter trims the thread a little too short. 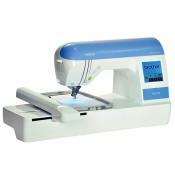 The feature-rich quilting machine allows users to work and sew virtually at lightning speeds. So, if you are looking for a heavy duty model that won't limit your imagination. Look no further, Brother PQ1500SL is just what you need. 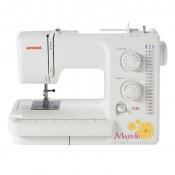 19.3" x 7.9" x 12.6"
Comes fitted with 13 pressure feet and sews through several layers of dense fabric easily, so you can tackle any heavy-duty project like clock-work. The sewing lights are too dim. 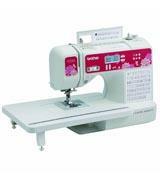 A quilting machine with the functions of sewing machine will surely come to liking to serious quilters. 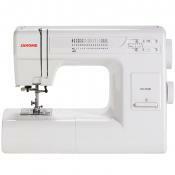 Also, it has a built-in memory and some customization features that most other sewing machines lack. 19.4" x 11.8" x 8.6"
This reliable machine is designed with a solid metal frame, so it won’t go tipping and will stand still while being operated at high settings. Slower than some other machines of the same class. 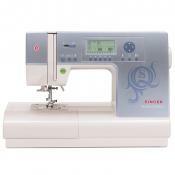 The best option for novice quilters due to the ergonomic design, intuitive controls and function buttons located on the housing. Pro quilters, however, will be more thrilled with the overall functionality. 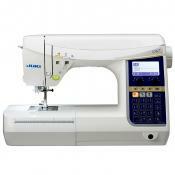 Shows excellent foot pedal response time, allowing for higher accuracy when stitching different fabrics. 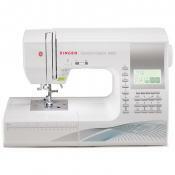 With a straight stitch machine, you will still need an ordinary sewing machine to complete your projects. 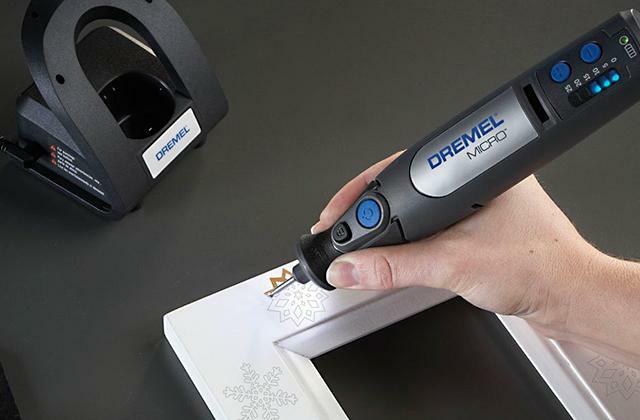 This top-of-the-line workhorse isn’t for everyone; it is really fast and so, best suited for professional users who need a variety of features and pro level performance. 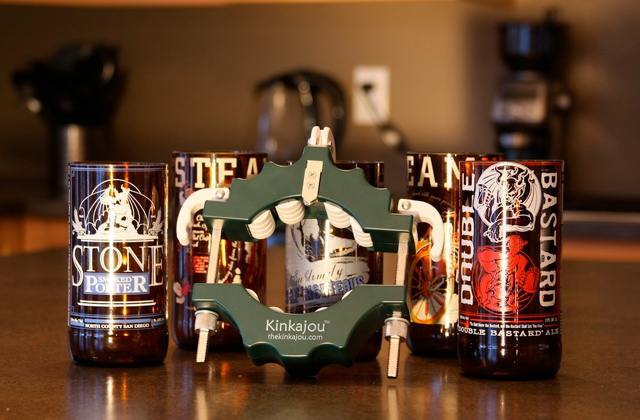 The portable machine with cute and unique design offers a variety of adjustable features and reliable operation. A vast majority of components are made of plastic. Sturdiness, versatility and usability are what make this Brother CX155LA favored by so many users worldwide. 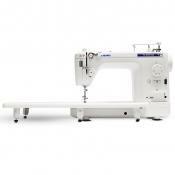 It offers a great number of stitches and presser feet options to suit different projects. 17.3" x 8." x 12.5"
Sewing a quilt requires basically only two things - a decent performing machine and your own creativity. 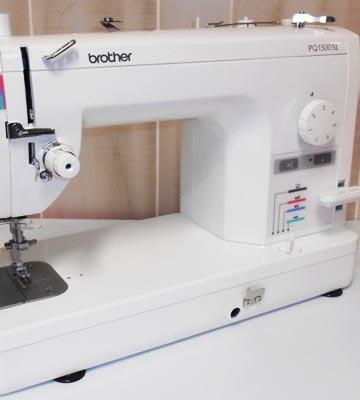 When speaking of quilting machines it’s really hard to beat popularity and performance of the Brother PQ1500SL machine; the unit features outstanding sewing speed of 1500 stitches per minute and can be used for stitching literally any fabric! 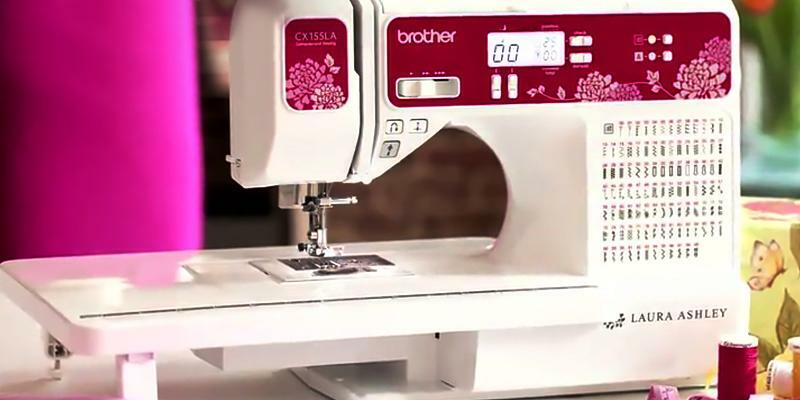 The Brother PQ1500SL can stitch easily through leather and several layers of quilt. 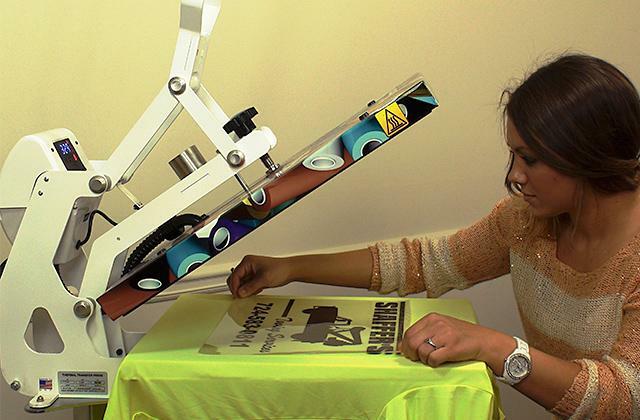 What we liked most about this machine, however, is that it's fitted with 4 feed dog height adjustment for users to feed all layers through the throat and do it evenly regardless a fabric type. 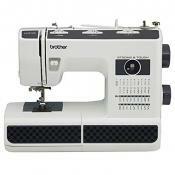 The Brother PQ1500SL has only one straight stitch yet, by no means, it anyhow belittles its usability and performance. 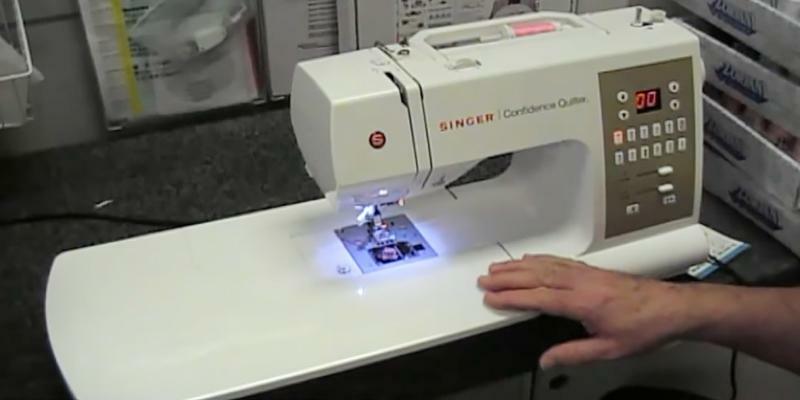 It's probably one of the easiest to use quilting machines that can be used by both novice and professional quilters. Speaking of throat space, here it's quite large making 9 inches so that a user can easily sew extra-size garments without playing with cloth repositioning it throughout the entire process. For user's enhanced comfort, the Brother PQ1500SL is also fitted with a 12" x 18" extension table that can greatly scale up the working area for work. All in all, this quilting machine will become the best pick for professional needleworkers seeking a fast and heavy-duty machine with flawless operation. Have you ever thought of the time when the first quilt was sewn? Actually, this is a bit tricky because there's no general opinion between historians. What they all believe, however, is that quilting has been popular with people from all over the world for several millennia already and it still is. They also cannot decide on the country of origin; some believe it was in America that people started to sew quilts, others think the technique came from China and Japan. Whatever it was, we all cannot be off quilting anyway. Besides, it's always been considered a good way of saving money using old worn clothes and making new things out of them. Knitting machines can help you knit clothes for your family and friends much faster and in a more convenient way. 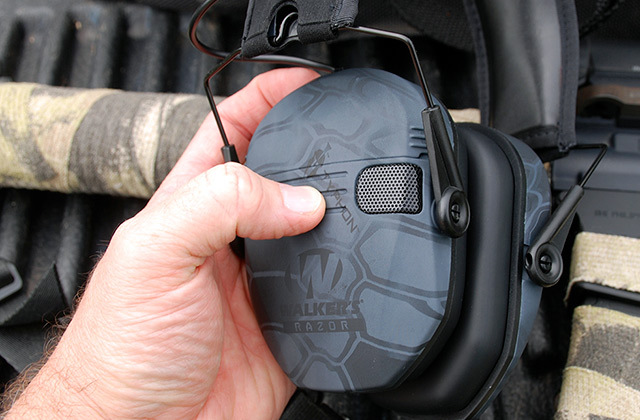 If you haven't got one, consider our recent review of some popular models. There are many small orifices to oil the machine without taking it apart. I've never seen this before, so great feature in my book. The stitch size can go down to micro, I literally had to get out the magnifying glass to see the individual stitches. Quilting requires the assiduity, patience, and attention. So, if you want to make the process less complicated and time-consuming we recommend you to opt for Janome MC-6300P machine. 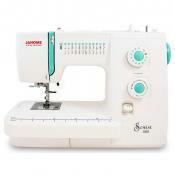 Janome manufacturer, which is known a leader in the industry of sewing machines, has always striven for perfection and therefore, produced only high-end and feature-rich products. 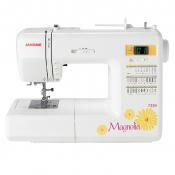 Janome MC-6300P machine is not an exception and has a lot of features you would be pleased to use. 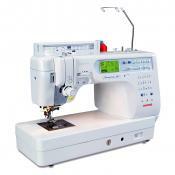 Firstly, it supports 66 built-in stitches and works at 1000 stitches per minute, allowing users to adjust the speed for different types of fabric. The speed itself is also pretty high and therefore, if you need the machine for professional use, you can use this one easily. 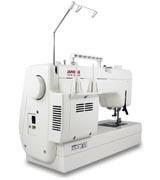 For user's hands-free operation, Janome MC-6300P quilting machine's fitted with a knee lift. 4 pressure settings with the highest one suitable for large quilts allow its versatile use with clothes of all sizes. But what makes this machine even more so special is that it's got a built-in memory and can "remember" the last settings used and set them by default for your next use. Quite impressive, isn't it? On top of all nice features of Janome MC-6300P machine we also found its small LCD screen with all information on a display very useful. Searching for the roots of quilting techniques, we’ve discovered some interesting facts. As it turns out, the first people who started to wear quilted clothes were Buddhistic monks. Living in the mountains, they needed clothes to warm up and the clothes made of quilts were the most appropriate and affordable. According to a legend, Buddha himself wore quilted clothes sewn from pieces he got by alms. 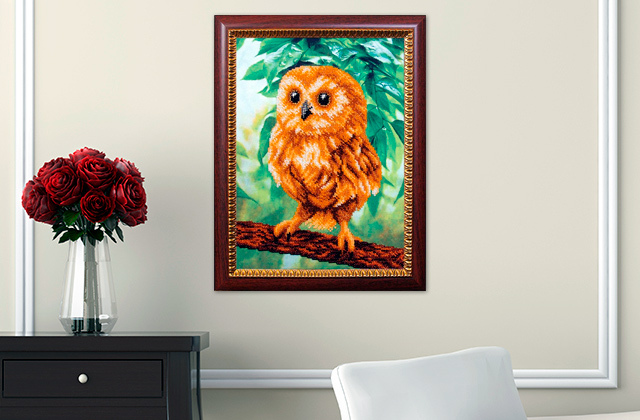 All your quilts and quilted clothes can be personalized by unique embroidered patterns made with one of the best embroidery machines. Cozy eider-downs, variegated blankets and pillowcases, colorful table covers, unique topcoats, etc. can be sewn really quick if you use a quilting machine. Have many ideas to bring into life? 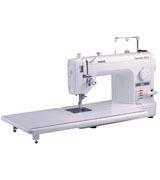 Then, let’s consider the Singer 7469Q quilting machine and some of its main features that make it a decent buy. First thing first, it’s very easy to set it up and use. The control buttons are all on a display and so, even novice quilters who’ve never had a quilting machine before can figure out how to use it. Many settings are programmable, which allows the automation of many processes for comfort of use. Set a needle position, choose a needle mode and select the width/length of a stitch, turning the control knob to the needed position. All control buttons have pictures on them that tell of the functions you can perform. All is simple like that. 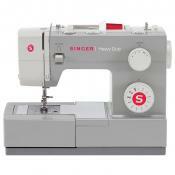 What a lot of quilters look for in quilting machines is the reverse stitch option. The Singer 7469Q quilting machine has it, too. What we like most about this machine, however, is that it’s fitted with a great number of attachments to use for different purposes. 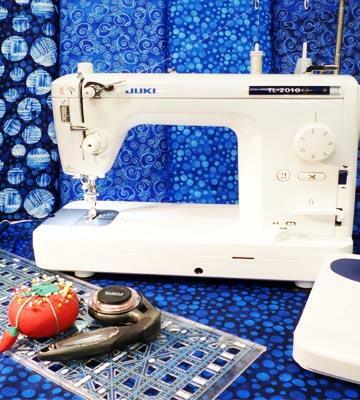 No need to search for accessories elsewhere, all you may need for work comes packed together with the Singer 7469Q quilting machine. As we've mentioned above, all you need for quilting is a good machine and some creativity. Yet, this is not a full list of the tools you may need to make a quilt. Let's see what other things can make your work easier. You won't be able to make a quilt without a good rotary cutter. It's the cutter that cuts cloth to equal-sized pieces. You could try using scissors, but this wouldn't be the same. It would also take you longer to finish the job. Rotary mats and a transparent ruler are also a must in order to keep the quilt visible while making cuts. Since the cloth should be ironed first, you'd need to have an iron and an ironing board. You would also need fabric and paper scissors for accomplishing specific quilting techniques. Don't forget to suit yourself with pins and seam rippers as well; without them, holding pieces of quilt together will be really challenging. You will definitely need a hard carrying case for storing your quilting machine at home. I will protect all its components from dust accumulation. 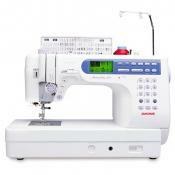 There is a wide variety of sewing and quilting machines available on the market and it is really hard to choose the best one. 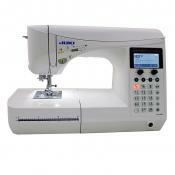 But, if you are looking for a heavy-duty device, we'd like to recommend you the Juki TL-2000Qi model. Why so? 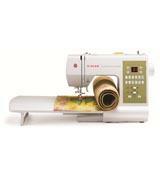 Because it is a real workhorse that some users deservedly call the "Rolls Royce" of home quilting machines. 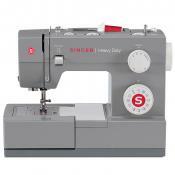 Well, the Juki TL-2000Qi sewing and quilting machine has all the features sewers look for when searching for one to buy: an automatic needle threader and a thread cutter, adjustable thread tension and stitch length. However, we would like to draw your attention to the presser foot pressure adjustment that allows changing pressure according to the fabric thickness. 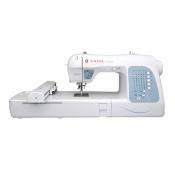 Even if you need to sew through eider-down, the Juki TL-2000Qi machine would cope with the task. 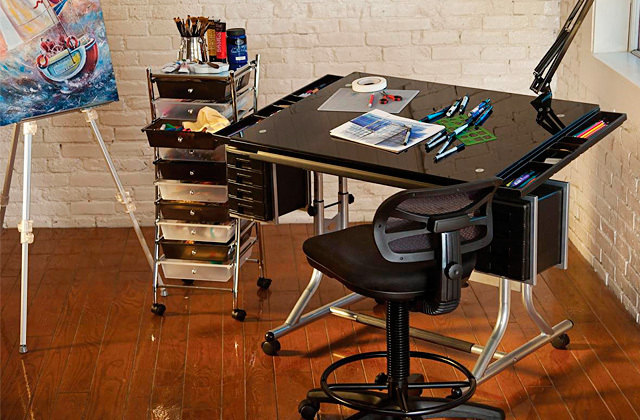 On top of great sewing and quilting capabilities, there's a great working space with a 9-inch throat space and 23'' x 13'' extension table, meaning you're not going to be bound to the size of quilts you'd be able to sew on it. 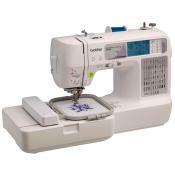 The sewing speed at 1500 stitches per minute adds to overall usability and performance of the machine. You probably haven’t thought about it, but all quilt designs are mathematically grounded, even though most of them unintentionally. The common patterns we see on quilts are either squares or isosceles triangles. Even the oldest quilts feature geometric figures of different sizes. Why is that so? Firstly, you wouldn’t be able to fit all pieces together well if they weren’t of a regular shape, so, you want it or not, all pieces should be chosen geometrically correctly. Secondly, when working with large quilts, quite often you need to cut bigger pieces into smaller which also requires calculating dimensions. Maths is a core of quilting! Often need to work under low-lit conditions? Don't strain your eyes and get a special lamp to make your working place more comfortable. It came with a regular foot, walking foot and free motion quilting foot as well as some bobbins and a screw driver so that you can change your needles, feet, and open it up to clean it. The pressure foot setting is amazing. I had no trouble threading and adjusting the tension. Never having the automatic needle threading feature, this was new and took about 20 minutes before I finally figured out I was missing the concept and a step in the process. VIOLA! It works. 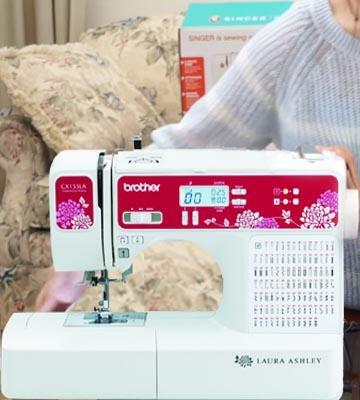 If you have plenty of quilting projects to do at home but have no enough space to accommodate a long arm quilting machine, you should definitely consider purchasing the Brother CX155LA. Being one-third larger the size of an ordinary sewing machine yet compact enough not to take all the room, it will help you tackle quite big quilts. 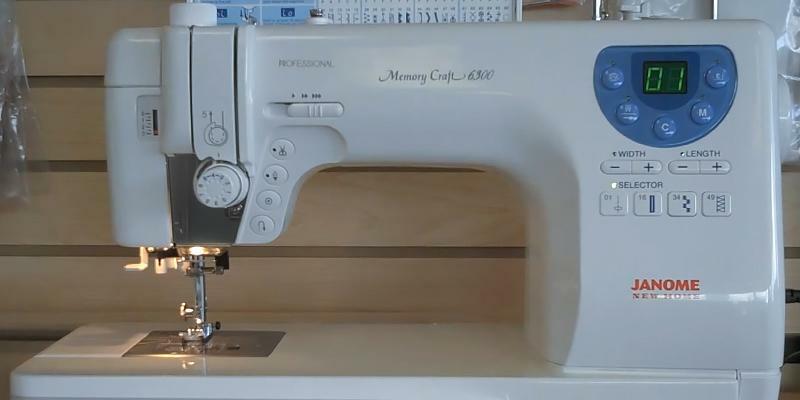 Using it is also an easy-breezy process not much different to using a simple sewing machine. Plug it in and here you go. 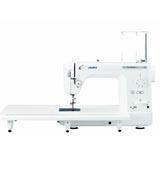 The Brother CX155LA machine offers 155 built-in stitches to let you create decorative and alphanumeric stitches on clothes for basic monogramming, so you're not limited at all in the number of patterns you can put on your garments. All the stitches are drawn on the housing and always there in front of you, too. 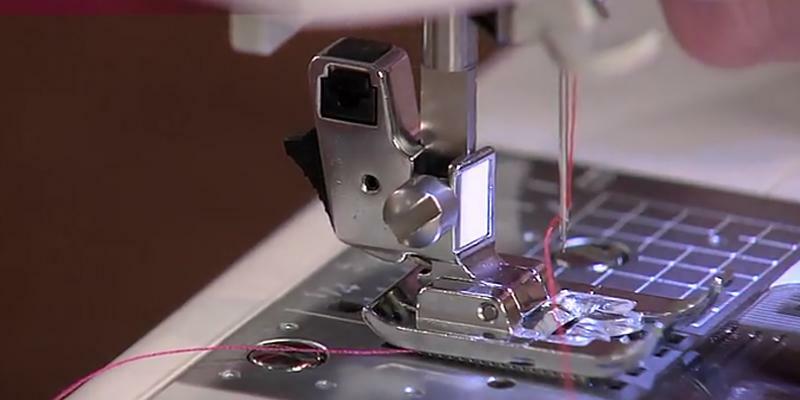 The sewing/quilting speed is 850 stitches per minute, which you can adjust either by hand or by triggering a foot pedal. 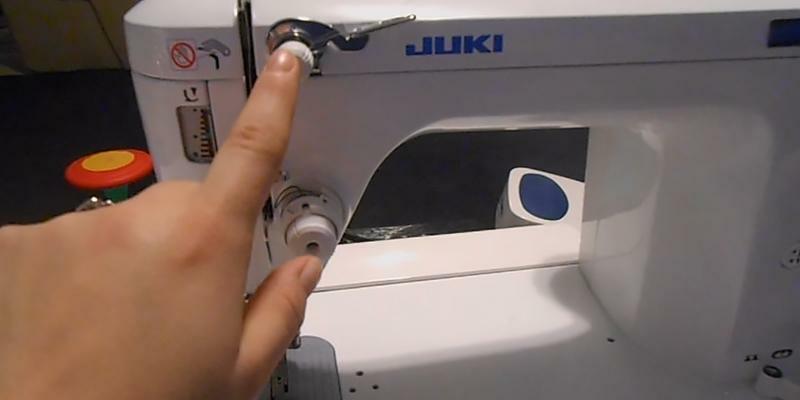 The other settings are also adjustable; if you need, you can change thread tension, stitch length/width, etc. automatically. Summarizing all the said above, all you need to create fantastic quilts is a little imagination and this unique, budget-friendly Brother CX155LA quilting machine. The progenitor of the first long arm quilting machine was nothing else but a quilting frame. The first frame was invented by Augusta Hoover in 1871 and could be used with literally any sewing machine a user had at home. So, the whole quilting system consisted of a sewing machine set and a carriage system of 2 bars. The first bar allowed users to move a quilt while the second one moved the machine in the parallel direction to fabric. The operator didn't need to move the fabric under the machine; all he/she had to do was to turn a hand crank to move the machine along the bars and over the fabric. Over some time W. H. Heffley redesigned the machine, guideways leaving out and adding patterns. Now, the quilting machine could create both straight stitches and wavy, rhombs-like patterns. Unfortunately, though, the upgraded quilting machine didn't come into great use as it was very bulky. 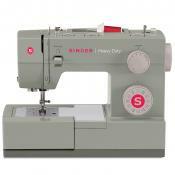 However, it started a new wave of producing sewing machines that we all use widely today. Every quilter knows that cutting fabric with ordinary scissors is a donkey work. 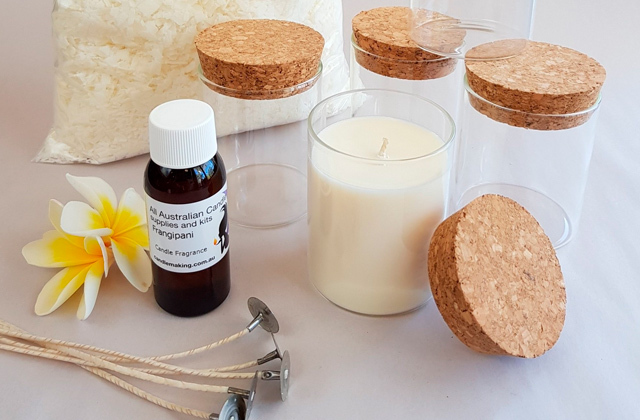 To make this task less complicated we'd recommend you to opt for a cutting mat that will not only protect the surface you cut on from scratches but also will come in handy in notching off pieces of fabric of the precise size. 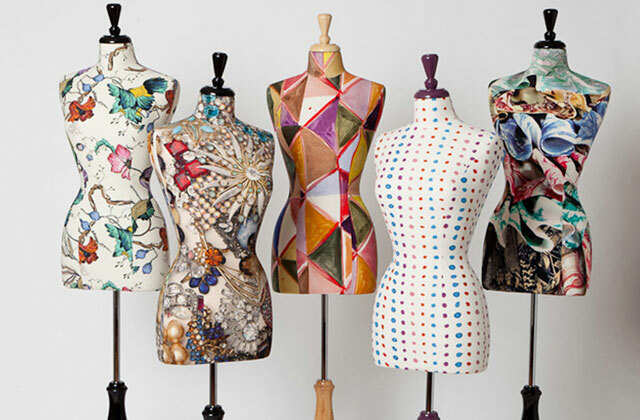 Sewing machines play an important role in modern life since they are designed not only for garments tailoring but also for sewing blankets, bedspreads, wall hangings, tablecloths, and other different items we cannot do without in everyday life. 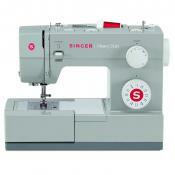 There is a wide variety of machines meant for different purposes such as sergers, quilting, or embroidery. 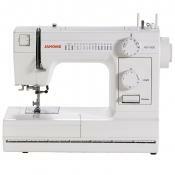 It’s easy to think that an ordinary sewing machine can perform all the same tasks, but this would be wrong. 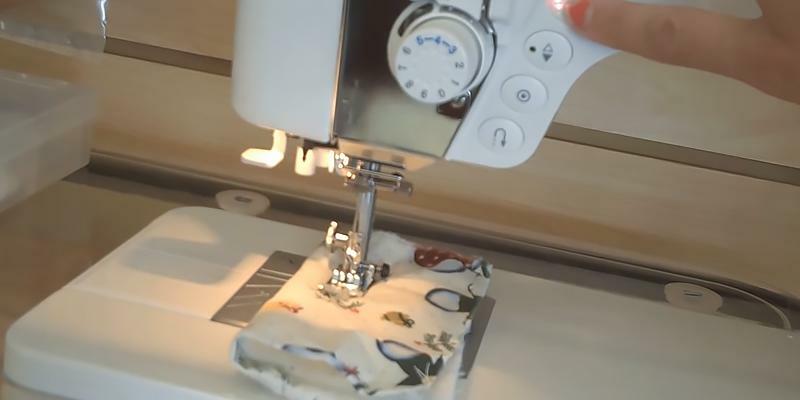 Stitching several layers of fabric isn’t an easy job and therefore, you may need to use a quilting machine. 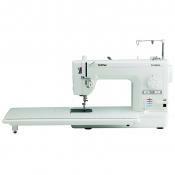 So, what exactly differs quilting machines from conventional sewing machines? The peculiar thing you’d see right away is a large throat space (the distance between a needle and a frame end) which allows accommodating quite big items on the machine’s bed, making it possible to produce king size quilts. This also makes the quilting machine the only device fitted for creating quilted, multi-layered garments. 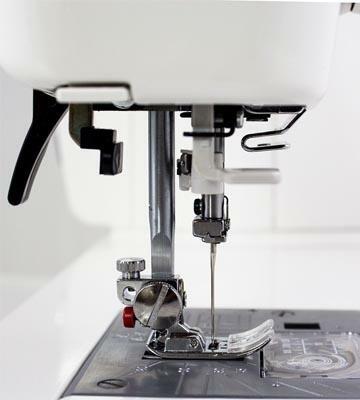 Those working often with stretchy fabrics that tend to fray should also consider getting an overlock machine designed specifically for sewing raw edges. Every quilter at least once in awhile faced a challenge of sewing clothes that simply didn’t fit the bed of a sewing machine. This might seem minor unless you often need to work with quilts and other big items that tend to roll or crease. Due to the size of quilts, feeding one through the machine’s throat isn't simple at all. This is why, when choosing a quilting machine, the first thing you need to consider is the throat space. 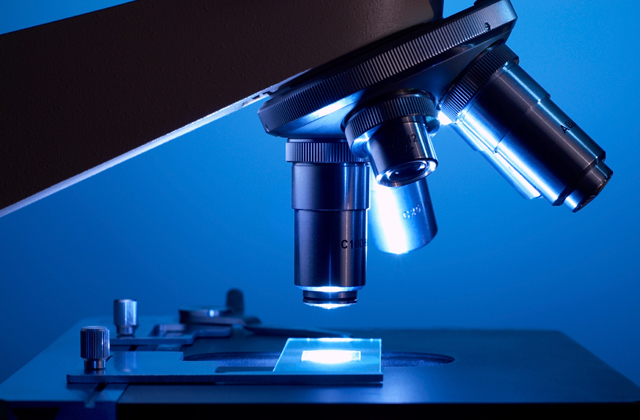 This distance between a needle and a frame end will tell you how big the cloth you’d be able to force through it. The bigger this space is, the thicker and the larger item would fit. 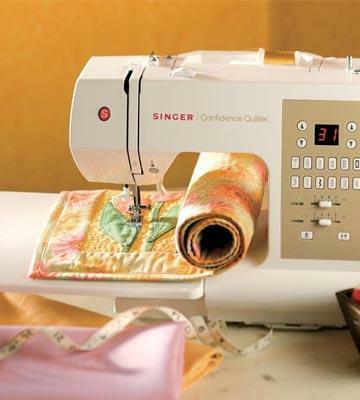 If you need a quilting machine for professional use, it’s preferable to opt for one with a multisegment feed dog and a walking foot which both help prevent fabric from creasing and shifting and force quilt layers smoothly and accurately forward. 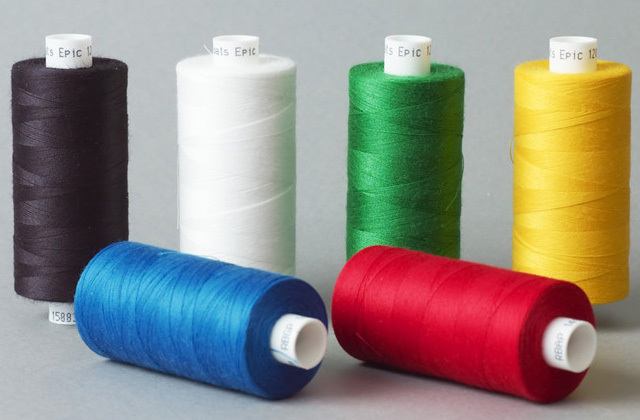 Also, it’d be a good idea to choose the device with adjustable sewing speed and stitch length/width in order to adjust stitches on different fabric types more accurately. Like we said above, quilting machines for professional use should have quite a large throat space, but what can make it even more comfortable to use is a free-arm feature enlarging the working area by times. 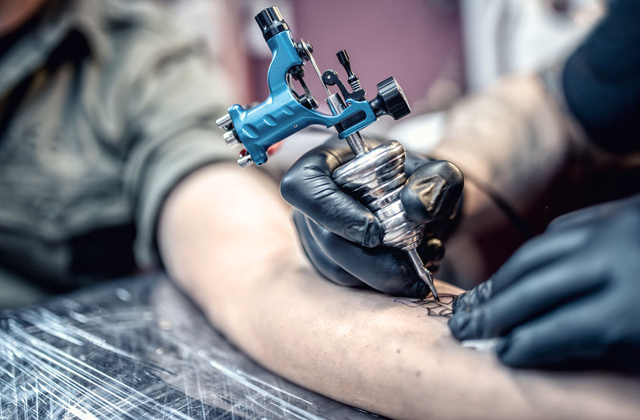 Professional-grade devices offer pre-programmed settings for users to set a needle position and not bother doing it manually. 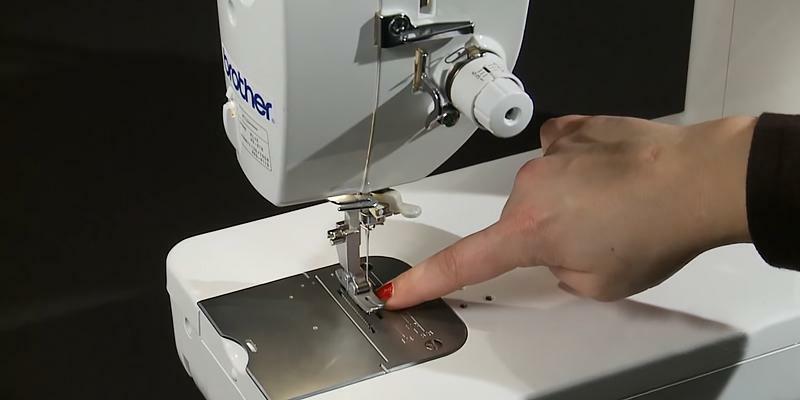 Before you decide on any particular quilting machine, make sure to check if it’s got an automatic needle threader, too. Those users who’ve ever tackled large quilts before know first hand how tiring the process of lifting a pressure foot each time while forcing the quilt through can be. Some quilting machines are fitted with a knee lift lever so that you don’t need to take your hands off work at all. 1. Janet Wickell Machine Quilting Options for Quilters, About. December 29, 2015. 2. Sharla Mansius Machine Quilting Basics, Connecting Threads. 3. 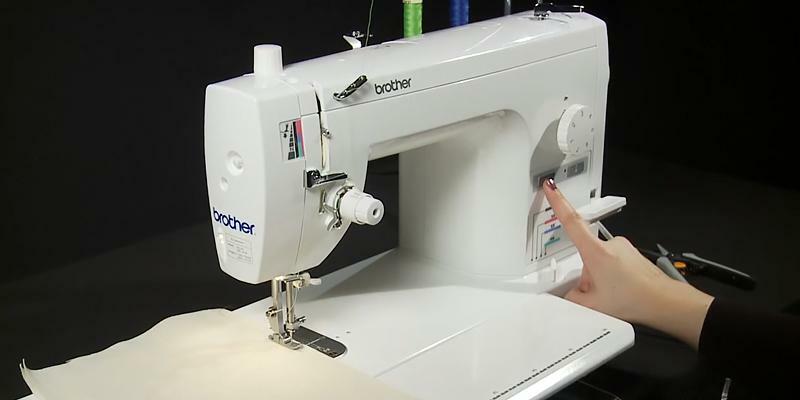 How to Buy a Long Arm Quilting Machine, eHow. 4. Ten Questions To Ask Before Buying a Longarm Quilting Machine System, Handi Quilter. 5. Cheryl Fall Machine quilting tips and tricks, Dummies. 6. Janet Wickell How to Choose the Best Tools for Beginning Quilters, About. May 31, 2016.